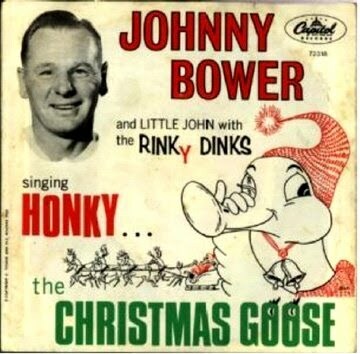 Sung with Little John and the Rinky Dinks, Toronto Maple Leafs goaltender Johnny Bower's "Honky the Christmas Goose" was released in 1965 and enjoyed a significant amount of airplay, making it to number 29 on our Canadian music charts. This is #2 of the Holiday three-pack. The final holiday MP3, and the greatest Christmas song of them all, is up next. hi mike i have a orginal johny bower honky the christams goose near mint or almost mint was wondering wht it would be worth could you please email me at dan501@live.ca ty hope here from you had this since i was a kid ty mike. Many thanks for posting "Honky..." Had been looking all over.